If you are looking to deposit cash, the casino offers you 13 different coin sizes you can choose from. The coin values are: 0.01, 0.02, 0.05, 0.10, 0.20, 0.25, 0.50, 1.00, 2.00, 5.00, 10.00, 25.00 and 50.00. You can also play Britain`s Got Talent casino in the Auto mode. First, predetermine the amount you want to stake. Then you can go for up to 25 Automatic Spins. This is one of the best casino games from Ash Gaming. The free online Britain`s Got Talent slots have 11 symbols in all. There are the usual playing card symbols, namely, 10, J, Q, K, and Ace along with the other standard ones in their gaming machines. There are the Jugglers, Singers, and Dancers. The British flag, the Union Jack is the wild symbol with the word “WILD” printed on it. The wild is sticky and can take the place of all other symbols except, of course, the Scatter. The Wild is also the highest paying symbol. 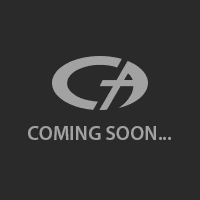 The Scatter symbol is the game`s logo. The Free Spins symbol is a shiny blue star. There are 2 bonuses, the Live Show Bonus, activated when 3 symbols appear on Reels 1, 3 &5 and the Free Spin Bonus when 3 symbols appear on Reels 2, 4 & 5. 3, 4, 5 times the symbol 10 gives 4, 10 and 25 coins respectively. 3, 4, 5 times ‘J’ gives 5, 15 and 30 coins. 3, 4, 5 times ‘Q’ gives 6, 20 & 50 coins. 3, 4, 5 times ‘K’ gives 8, 50 & 80 coins. 3, 4, 5 times ‘A’ gives 10, 50 & 100 coins. 3, 4, 5 times Juggler gives 30, 100 & 500 coins. 3, 4, 5 times Dancer gives 50, 400 & 1000 coins. 3, 4, 5 times Singer gives 70, 600 & 1500 coins. 3, 4, 5 times Wild gives 100, 1000 & 10,000 coins (Jackpot). If you enjoy the TV program, you will enjoy this game. It can load quite fast and the background sounds are quite good. A special feature is that the speed of the game can be adjusted by clicking on the options tab at the top of the screen. You can also win up to 1125x your total wager. 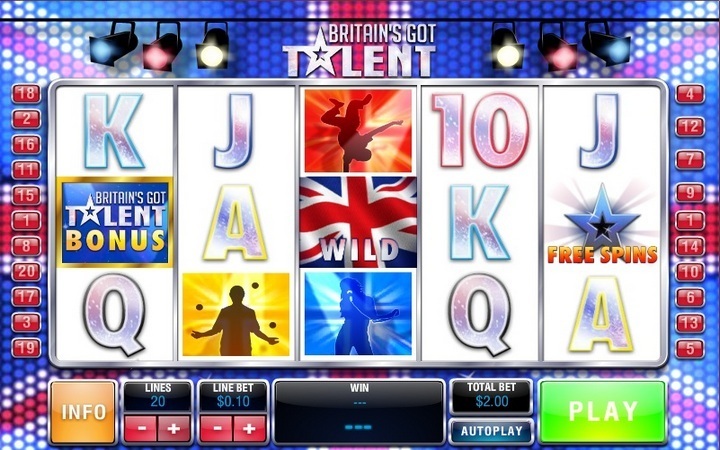 If you are not willing to deposit cash you can also enjoy the Britain`s Got Talent slots absolutely free.